We test in Raleigh only on the last Tuesday of the month (if the month contains 4 Tuesdays, then Raleigh testing will be on the 3rd Tuesday). Are you ready for this? Free Hors d'oeuvres and cocktails while you mix and mingle with some local eligible bachelors. You could find your next love, or simply your next best buddy for life! So change up your pace, get off that website and meet him. Your next love could be just 'minutes' away! To help kick off the New Year of 2014 TEC will be giving away emergency gift bags of food to each individual who’s in need for FREE!! We will also be providing free and confidential HIV/AIDS testing. There will be free food, bottled water for those who attend. Gift cards will also be available for those who decide to get tested. Let's help those who need us. Come and join us in our endeavor to reach out to those in your community. For more information, please call Triangle Empowerment Center, Inc. at 919-423-8902. 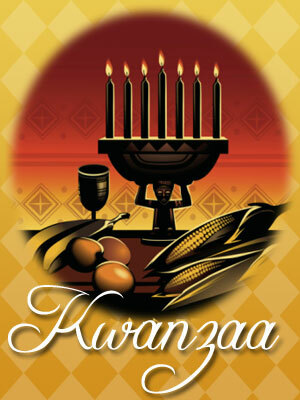 Ujima is the 3rd day of Kwanzaa. Ujima is Swahili for “Collective Work and Responsibility”. On this day, we shall build and maintain our community together and make our brothers’ and sisters’ problems our problems and to solve them together. share in this celebration or both! Triangle Empowerment Center and lets celebrate Ujima!